This week in Pre Calculus 11 I learned a few things that really helped me. I learned how to recognize perfect square trinomials, how to use the box method to factor, and how to use the quadratic formula when solving. I will quickly go over each of these things. This box method is typically used with ugly polynomials but can be used with any expression. You want to be careful about using this method because the numbers could get big. Step 4: Insert them into the box. The quadratic formula can be used to solve any quadratic equation. This can be a really useful and quick way to solve an equation. Step 1: Determine a, b, and c and substitute into the equation. 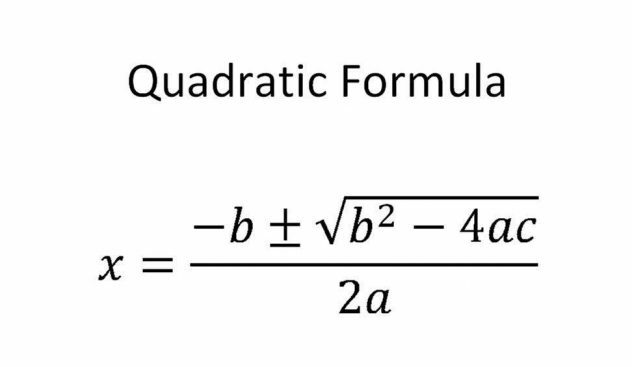 substitute into the quadratic formula. Today we learned how to recognize perfect squares trinomials, how to use the box method, and how to use the quadratic formula.